Alexander Turnbull Library, New Zealand. Pictures, photographs of the Pacific Islands. 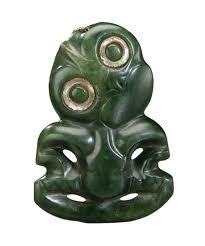 Maori, Polynesian art and culture. Tribal art from the Pacific.Tribal artefacts and folk art from Melanesia, Indonesia, New Guinea. Te Kakano is the name of the Pacific People Information Centre located in the west wing of the Maori Gallery. Te Kakano provides visitors with electronic access to information regarding the Museum’s extensive Maori and Pacific collections. It seeks to strengthen the link between Maori and Pacific people and their cultural heritage. British Museum Pacific Collection, London. Tautai supports the development of contemporary pacific art through actively fostering and maintaining links between contemporary pacific visual artists. Tautai was founded in New Zealand in the 1980s as an informal network from an initiative by Samoan artist Fatu Feu’u and friends together with a small group of then emerging artists. Cook Islands art and culture. A portal for the Easter islands. History, photos, music, arts and crafts, hotels. Rapanuiweb.com. Easter Island rock art and statues of Rapa Nui. A collection of engravings of the South Pacific first published in 1836 by MG.L. Domeny De Rienzi. as Océanie ou Cinquième Partie du Monde, Paris, France. Fiji Arts Council (FAC) is a charitable organization established in 1964 as a coordinating body for the preservation, development, and promotion of art. Wikipedia entry on the culture of Fiji. Hawaii performing arts, Hawaii visual arts, Hawaii, Hawaii art resources on the internet. Polynesia and the islands that encompass it. The Oceania Digital Library is a collaborative project begun in late 2007 to digitise, preserve and provide searchable access to a range of cultural & heritage resources from research collections of partner institutions. The geographic scope of the resources includes the subregions of Melanesia, Micronesia, and Polynesia. Guide to Melanesian artefacts, art. National Library of Australia image collection. A searchable image database. National Library of Australia Pacific resources on the internet. The Jean-Marie Tjibaou Cultural Centre in Nouméa was designed by Italian architect Renzo Piano with the concept of celebrating the vernacular Kanak culture. Le centre culturel Tjibaou est un pôle de développement de la création artistique Kanak et un centre de diffusion de la culture contemporaine Kanak. Metropolitan Museum of Art, New York, Oceanic art collection. Ewa Gallery houses a collection of art from the Sepik region of Papua New Guinea. New Zealand art and culture, a website directory. Oceanic Art and Material Culture. The Michael Hamson gallery sells museum quality oceanic art primarily from New Guinea. Bowls, plates, drums and other artefacts. Oceanic Arts Australia, a site for purchasing Oceanic art. An image archive of the art of Oceanic ethnic groups. These images have been accumulated over many years from numerous sources in the public domain and from private sources. The Society’s main focus is on Melanesian, Polynesian & Micronesian art, but not to the exclusion of tribal art from other areas or the contemporary art of the indigenous people of Oceania and Australia. New Guinea. Gallery and museum resources. Superior quality New Guinea tribal art and artifacts at reasonable, fair prices. Tribal Art sales and information on mask, figures, bowls, drums and adornments from the Sepik River Region. The Polynesian Cultural Center focuses on promoting Hawaiian culture through education, hands-on activities and a wealth of information on Polynesia and the islands that encompass it. Pasefika Designs portfolio includes Jon Apisa’s drawings prints and other Pasefika artwork inspired by Samoan art. The museum of Samoa contains a collection of artifacts and historical images pertaining to Samoa’ culture and history. Culture of the Solomon Islands, Wikipedia entry. National Gallery of Australia Solomon Islands art collection. Tattoos, a directory of tattoo websites. Tahiti Tatou, Polynesian tattoo world-wide guide. Designs, meaning (dictionary of Polynesian symbols) and origins of tattooing in Polynesia. A Tattoo Gallery, list of specialized tattooists, forum. Polynesian temporary tattoos, tattoo books, and other tattoo related products. Online store with secure payment. The Culture of Tonga. Wikipedia entry. Arts, Craft & Culture in Vava’u Islands, Tonga.